Written over the last four decades of the 20th century, the forty-plus stories collected here are both vivid and lived-in. 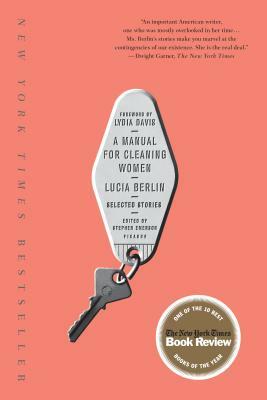 Lucia Berlin moved all over the Western United States, married twice, raised four sons, experienced wealth and poverty, worked a wide variety of jobs, and battled assorted illnesses. All of these pieces of her play out in her stories, many of which seem intimately autobiographical. Berlin possessed a rare ability to capture scenery, characters, and emotional states with an economy of language that nonetheless feels rich. These are wonderful slices of life from a master writer finally receiving the accolades she deserves.